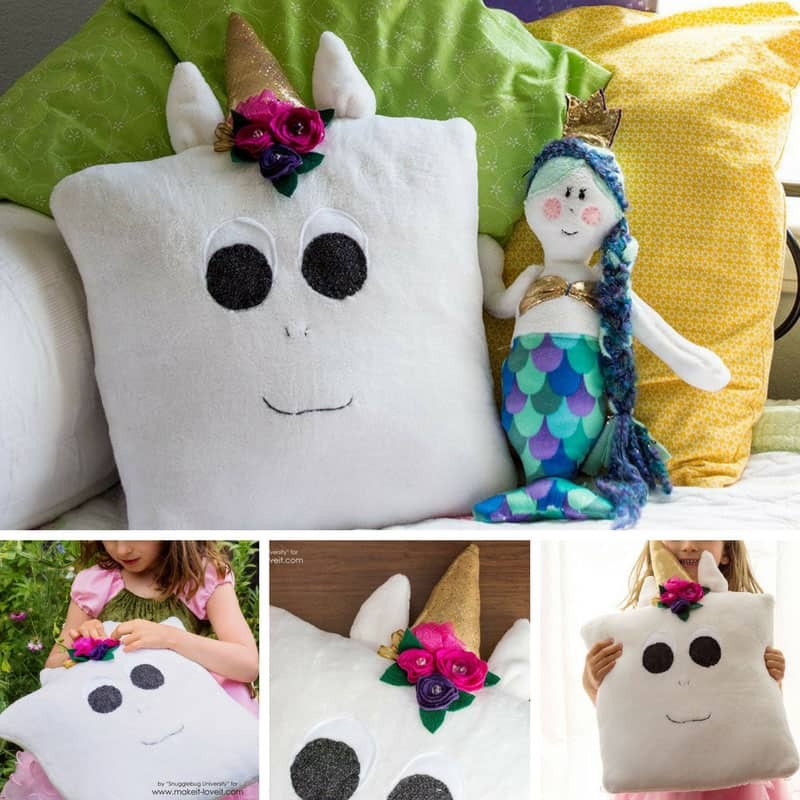 This DIY unicorn pillow is so soft and cuddly you’re going to need to make one for all the unicorn fans in your life, and of course one for you too! 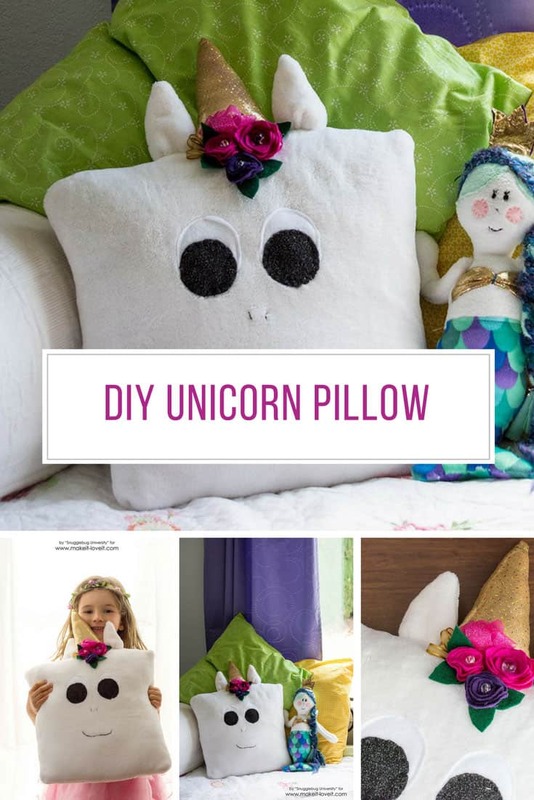 We are a little bit obsessed with unicorns at the moment and we know you are too which is why we are so excited to share this DIY unicorn pillow with you! This craft was dreamt up by Jill from Snugglebug University and it is so easy it’s the perfect craft to do with your kids during the summer break. 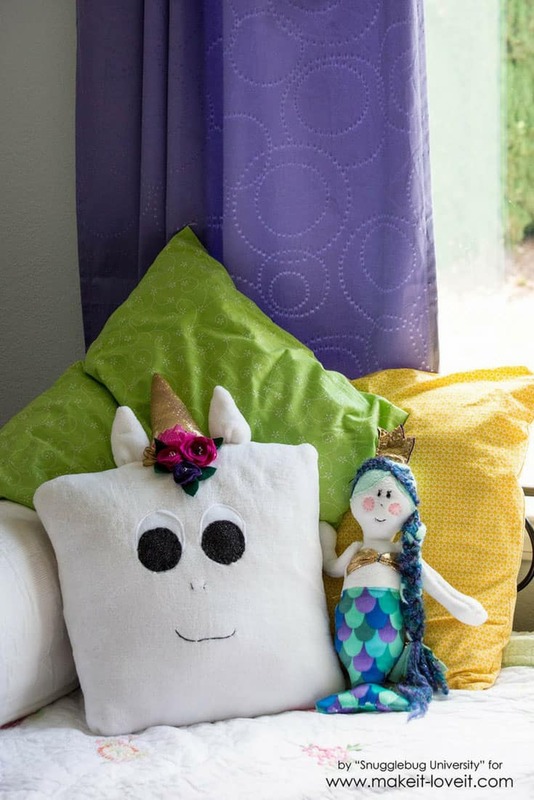 Make sure you use chenille or minky fabric so that you’ll have a soft and cuddly pillow friend to snuggle up with on the sofa or in your book nook. And we just love the flowers and sparkly bows to turn this into a real girly unicorn! If you are making one for a boy why not try a plaid bow instead! If you’d also like to make the adorable mermaid you can see that pattern here. Pin this idea! Hit the button to save this idea for later.